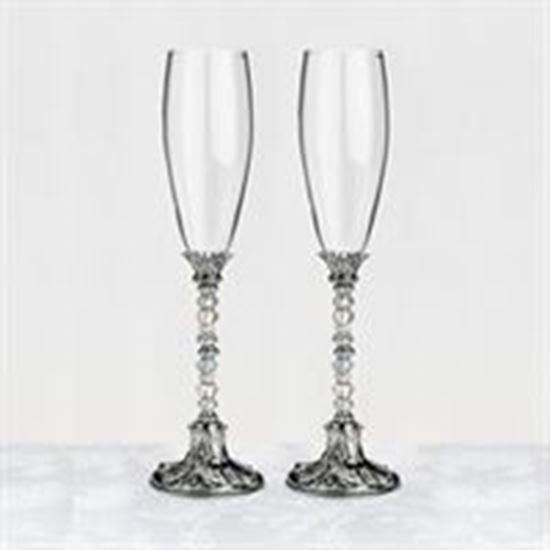 This pair of elegant toasting glasses stands 11.25' tall. A series of silver and clear beads decorate the middle portion of the stems. To personalize this glass set, you can easily remove the beads and replace them with your own special beads. Simply unscrew the base from the threaded rod. The threaded rod has a 3mm diameter, so your beads will have to be able to slide onto that.